Although we began renting Brushy Hill Cottage in 2002, we never imagined it as a wedding site until we had our own daughter’s wedding there in 2014. We then realized that it was a magical place for outdoor weddings. 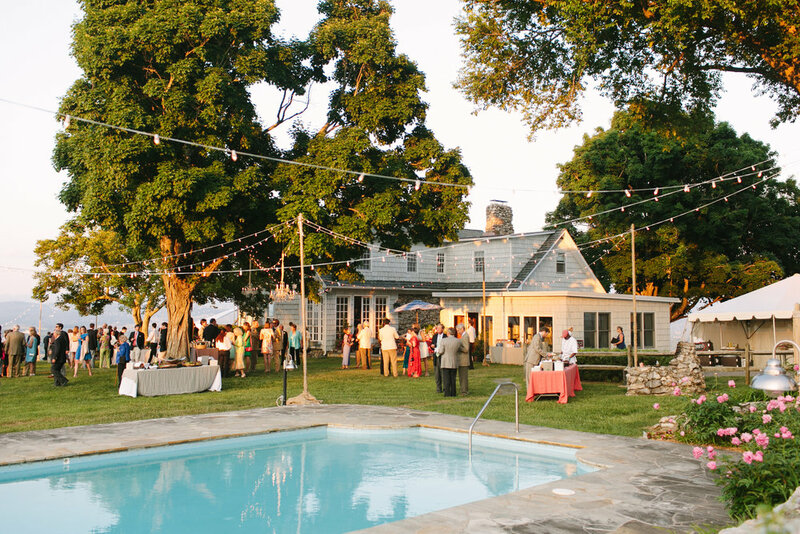 The house is surrounded by expansive lawns and large, mature maples and elms so the bride has a least three areas to choose to “walk the aisle” and even more areas to choose for a reception. There are beautiful views of the mountains on all sides- views of the town of Lexington, House Mountain, Jump Mountain, and the stunning Blue Ridge Mountains of Virginia. Most of our brides and their families choose to have a large tent directly out front all lit up at night. It is possible to not have a tent (as we did), but that does require a lot of lighting, so it’s not a savings, just a different look. There are wonderful vendors in Lexington and the surrounding areas to assist with flowers, tables and chairs, tents, lighting, portable rest room trailers, musicians, photographers, and even golf carts which we found to be especially fun for taking guests to the top of the hill for an even better view. 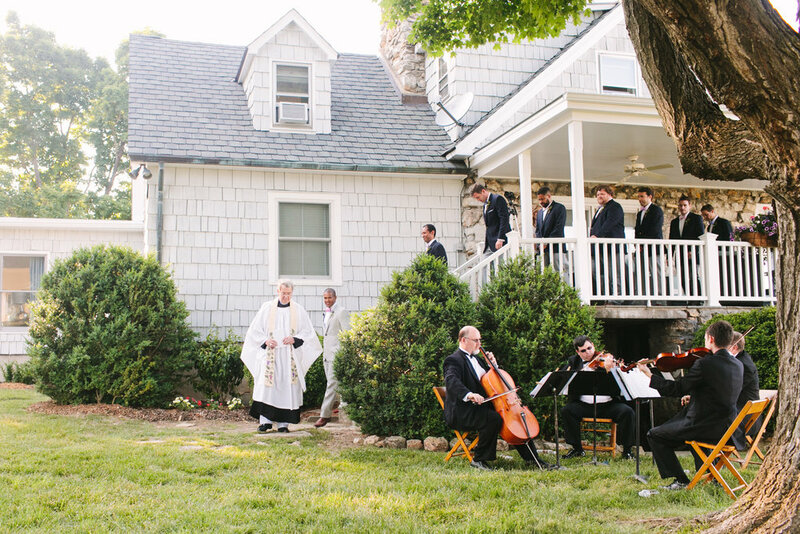 Brushy Hill Cottage is unique in that it is a lodging venue that allows guests to entertain for all of their wedding events if they wish: rehearsal dinners, welcome parties, bridesmaids' luncheon, Sunday brunch, as well as the wedding and reception itself more. "Our vision was to highlight the beautiful surroundings, incorporate the laid-back feel of the countryside, and to celebrate our marriage! 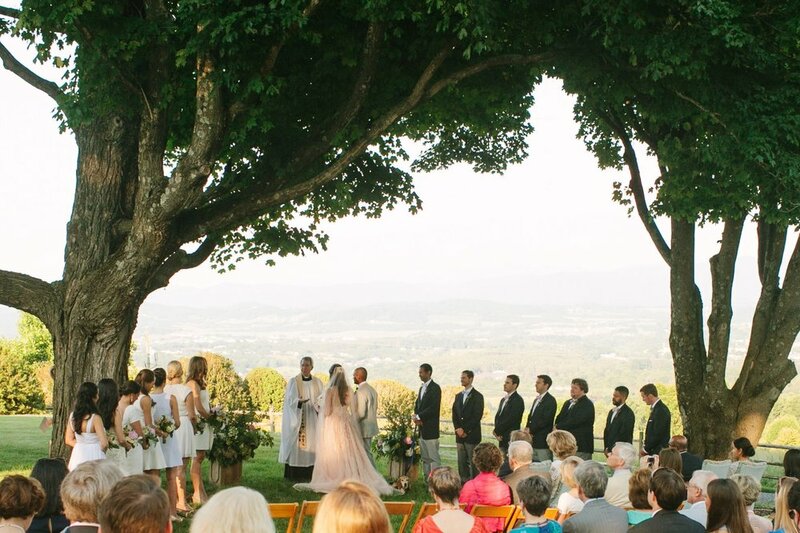 We wanted our guests to enjoy Brushy Hill the way we do–exploring the property, taking in the views of the Shenandoah Valley, sharing delicious food and drinks, and enjoying the chance to be together. The mature trees, blooming plants and rolling hills are so beautiful as-is, all we needed was lighting to showcase it and comfortable furniture to sit back and appreciate it. We were so lucky the weather cooperated and no tents were necessary–just strings of white lights and up lights in the trees. Climbing the hill is a favorite family activity, so we made it accessible to everyone--and a bit more thrilling--by providing golf carts. The lively band and varied menu really reflected the bride and groom's personalities. Among the highlights were Alaskan Salmon, a macaroni and cheese bar, a Bourbon bar, and a Kir Royale station. My favorite part of the day was the exit through the sparklers into the gorgeous 1941 Convertible Buick Roadster, followed by the magical ride in it down the hill on the rolling country roads under the canopy of tall trees and twinkling stars. It was the most peaceful, relaxing, and happiest moment relishing my new husband by my side."